My NAVY SEAL Safariland SPEAR ELCS (Equipment Loading Carrying Subsystem) SET System in woodland. Complete kit is Navy SEAL Issue. This is the infamous Safariland SPEAR Vest designed to be a complete system to integrate with body army as well as a rucksack. 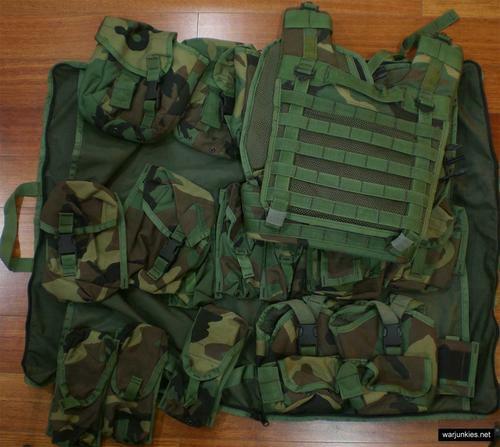 It is essentally a MOLLE enhancement of the original LBV.